Keep affordable apartments regulated, and re-regulate some apartments. This bill would stop letting landlords remove vacant apartments from rent regulation by claiming the rent legally is $2,500 or more. Over 400,000 apartments have been taken out of rent regulation since 1994 under this law. And without rent regulation, rents can rise indefinitely, and tenants lose protection against reduced services and eviction. The bill also re-regulates most of the apartments that were deregulated in the last 15 years. This bill would end the annual 7.5% rent increases and bring the increases for rent controlled tenants in line with typical rent stabilized adjustments. (Last year it was just 1% for rent stabilized tenants renewing for one year.) The bill would replace the 7.5% rent increase with a rolling average of the past five years’ New York City RGB rent adjustments for one year leases on class A apartments. This bill would also stop tenants having to pay for any increases in fuel and labor costs - on top of their regular rents, since fuel and labor costs are already factored into the Rent Guidelines Board's annual deliberations for rent adjustments. This bill would eliminate the statutory vacancy allowance, an automatic rent increase of up to 20% that landlords can use to raise rents every time the apartment is vacated and then re-rented. "Preferential rents" occur when a landlord offers a rent stabilized apartment for less than the legal regulated rent. (That legal regulated rent is sometimes higher than whatever the market will bear - because of Individual Apartment Improvements [IAIs], Major Capital Improvements [MCIs], automatic 20% increases for every vacancy, and Rent Guidelines Board rent increases.) As of now, when tenants with preferential rent renew their leases, landlords can raise rents all the way up to the legal regulated rent, which can be hundreds of dollars higher than the preferential rate. This bill would require that preferential lease renewals be offered based on the lower rate, and only allows landlords to jump up to the legal regulated rent if the apartment becomes vacant. When an owner does work that benefits a whole building, that is a "Major Capital Improvement" (MCI). The owner can ask the state housing agency for a rent increase to cover his costs. But under the existing law, that rent increase is permanent even long after his costs are paid. This bill would turn Major Capital Improvement rent increases into temporary surcharges, rather than permanent additions to the rent. When a building-wide improvement is paid off, the surcharge would disappear. MCI rent increases would not be compounded into the monthly rent for the purposes of determining rent increases when tenants renew their leases. The bill would also standardize the cap on MCI payments, so no tenant could be charged more than 6% of the total rent (above whatever the lease says or the Rent Guidelines Board orders) in a given year. Today rent controlled tenants can be charged up to 15% of their rent for each MCI, while rent stabilized tenants have a 6% cap. Reform the Individual Apartment Improvement rent increase system. Individual Apartment "Improvements" are abused resulting in fraudulent rent increases, and driving the rapid inflation of rents. This system must be reformed. In New York City, it is illegal for landlords to deny tenancy to people who pay their rent using Section 8 vouchers or any other forms of rental assistance. This bill would make it illegal throughout New York State. Stop illegal hotels - keep the law the same. Closes loophole that lets landlords can take “one or more” apartments for use by the landlord or a family member. Landlords have used this mechanism to empty entire buildings. This bill limits recovery to one apartment, and requires the landlord to demonstrate “immediate and compelling necessity” as in NYC rent control and suburban rent laws. Passed Assembly 6/19/2013 95-48 & 5/13/2014 87-41. Reforms the four rent guidelines boards in NYC and the three suburban counties (a system originally designed by the real estate industry itself) to level the playing field and give tenants at least a chance of fair rent adjustments. Among the most important changes is to expand the required qualifications for public members of the boards. Passed Assembly 6/18/2013 101-40 & 5/12/2014 89-43. 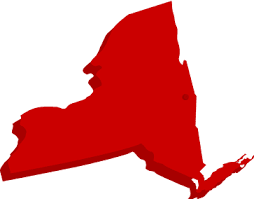 Support these protections by writing to Governor Cuomo and Assembly Speaker Sheldon Silver. And join a tenant group that's fighting to keep all our homes affordable.